My recent post, The God Who Is No God, spoke of Christianity as a set of practices. This is a crucial understanding – a requirement for a living faith. It requires that we ask the question of the rich young ruler, “What must I do to inherit eternal life?” Oddly, he did not ask, “What must I believe to inherit eternal life?” Nor does Christ give him an ideological answer. He is first told to “keep the commandments.” On further inquiry, he is told, “Sell what you have. Give it to the poor and come follow me.” The entire conversation turns on actions. The Christian faith turns on actions – even such things as prayer should be understood as actions. We do not need to have opinions about prayer. We simply need to pray. We do not need more careful understanding of the nous, the passions and hesychasm. We need to pray. Imagine for a moment an aboriginal tribe. They live in isolation and are visited by an anthropologist. He notices a peculiarity about them: they do not lie. They are quite particular about it and tell the truth to a fault, despite the problems it creates. The anthropologist discovers that this is part of their religion (though religion might be an inaccurate word for such a life). Such a description is closer to the idea of practice than most of what we think about in our day. It is instructive that there is a struggle within American Orthodox over many practices. Oftentimes such practices are discussed under the heading of customs or “little t” traditions. For example, Orthodox women in America are often uncertain about whether they should cover their heads in Church (the men are uncertain about this as well). I will offer no opinion in the matter. What is of note is that we are uncertain. I could multiply this example. There are many reasons of our uncertainty in the face of practices (most of which have to do with varying opinions of clergy and the hierarchy). But the deeper reason has to do with the depth of our engagement in the secular culture. The culture will not impinge on our lives at the level of belief (at least not at first). The power of secularism is felt precisely at the point of practice. At that point, it creates an uncertainty. Is this practice necessary? Isn’t attention to such things just phariseeism? Won’t this practice offend those who visit? Etc. Practices such as telling the truth, forgiving one another, kindness to all, etc., are obviously of paramount importance. But Orthodoxy is also the Church of icons. The last great Ecumenical Council was primarily concerned with practice. The making of icons was only part of the question addressed by that council. The veneration of icons was perhaps of far greater importance. The greeting of icons, with metanias and a kiss, may seem to be an action that belongs to the category of custom, but, if so, it is a custom (practice) so important that it required an Ecumenical Council. Other practices may not have required Ecumenical Councils but only because their practice was not attacked by groups of heretics. I have no wish to stir up a controversy over matters that may seem of little importance. The question that has importance is the encounter between religious practice and secular culture. The moment of uncertainty is a key. If an action creates controversy within a parish, it is likely not a good idea. In parish life, things should be done in good order, and that good order is best kept by the guidance of the priest and goodwill between members. What is certain is that the faith has its practices and cultural pressures should be acknowledged. 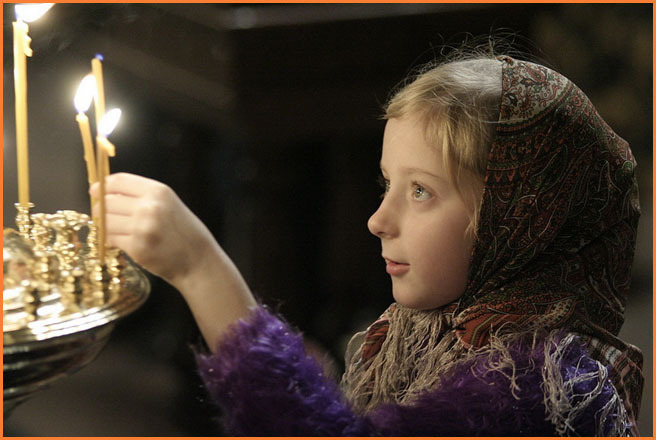 Orthodoxy is not an ideology, but a way of life (including outward forms). The outward forms of our life are iconic in nature (at their best). They are not legal requirements. Who should understand the value of iconic forms better than the Orthodox? With the advent of the Second Vatican Council, many practices of Roman Catholicism began to disappear. I am aware that many Catholics at present lament this aspect of their common life. One effect of this disappearance was the “mainstreaming” of Catholics within secular, protestant culture. They became indistinguishable. An unintended (surely) consequence of this change was the gradual mainstreaming of Catholic belief. Studies indicate that Roman Catholics are largely indistinguishable from their Protestant (and secular) counterparts within American culture. There is no practice which distinguishes them as a group. I would quickly add that this is largely the same with studies of Orthodox laity within American culture. America is “multicultural” only in its mind (and not much there). Our variety is largely in name only. Orthodox sometimes lament the fact that we have little impact on the society in which we live. Some argue that jurisdictional unity will increase that impact. Jurisdictional unity is desirable because it is canonical. However, it will have little impact on the culture and even less on the powers-that-be. I have always had an interest in the Amish and some Mennonite groups (they have a presence in Tennessee and Kentucky). Most people are familiar with their rejection of modern technologies (they drive buggies instead of cars and wear clothes and beards that set them apart). I have heard the argument many times that their rejection of the mainstream culture makes them ineffective as witnesses for Christ. However, I find it interesting that a group which numbers so few and famously rejects participation in the larger culture, is so well known and identifiable. Most people are aware that they are pacifist and reject violence. Some are aware that they do not vote or participate in the political structure. Their practices and the contradictions created by them have been the occasion for several movies. These contradictions are of interest to the larger culture for the very reason that they bring into question things that secularism assumes as requirements. Is violence necessary? Orthodoxy is not and should not be a religious ghetto (in the language of secularism). But the Orthodox life cannot and should not be mainstreamed into a secular culture. An invisible Orthodoxy rejects the wisdom of the Seventh Council and makes a devil’s bargain with a culture that hates our very existence (as it does any form of Christian practice). Orthodoxy has had no Vatican Council, but the same forces within the culture have had an impact within the practices of the Church. The liturgy has largely remained intact, but has been witnessed by an increasingly secularized congregation. The divorce between liturgy and congregational life is a significant reality that should not be ignored. The wisdom and Tradition that guides the liturgy is surely wise enough to guide daily life. It seems interesting to me that questions of practice are far more controversial than questions of doctrine and the like. That fact says something about relative importance. What we do should not be a matter of indifference. If you would be Christ’s disciple, do something. You certainly hit the nail on the head dearest Father! Very interesting! Thank you, Father. I understand the relevance and appreciate the fervor of your call to prayerful and pious Christian living. That said, I wonder about your exegesis of Jesus’ encounter with the Rich Young Man. You say that “the Christian faith turns on actions,” but where does that leave faith? Paul speaks over and over again of being justified by faith: “But to the one who does not work, but believes in Him who justifies the ungodly, his faith is reckoned as righteousness” (Romans 4:5). I realize that faith without works is dead, but to say that the faith “turns” on actions . . . well, that statement strikes me as an over-emphasis on works. After all, the Lord did promise us that “he who believes has everlasting life” (John 11:26). And Paul tells us, “For by grace you have been saved through faith; and that not of yourselves, it is the gift of God. Not by works, lest any man should boast” (Ephesians 2:8-9). I realize that your post is about much more than the faith/works controversy, and I do not want to get into a big discussion about that tricky subject. What I wonder is how you see such traditions as the veneration of icons. What is their relationship to saving faith? How do they function in our salvation? I think I know what you mean, but certainly there are times when the faith actually demands that controversy be raised in a particular community, one, for example, that served coffee and breakfast before Liturgy. The priest in that case dealt with it right away, survived, and then took his time in eradicating bingo but was successful at that, too. Anyone can create controversy. I’ve seen people pick fights in the parish for their own purposes that have nothing to do with the faith. On a related subject, what do we do about pews? My caveat was that “good order” was in the hands of the priest (properly). Sounds like the priest established good order in the parish, viz. breakfast and bingo. Good man. As for pews, depends on priest and bishop. Pray for your priest, be patient with him. Support him when he’s bold and support him in his meekness. He is an ambassador sent from God (2 Cor. 5:20). In other words (to refer to your previous post), we need to be a skandalon to the world, through what we do. Perhaps not by dressing in a peculiar way, but certainly by acting in a particular way. I have heard or read many times the same response to the question of what we (laymen) should do in order to confess and preach Orthodoxy: we should avoid talking about it and let our actions speak about our faith. Also, I’m thinking, our art does the same thing: speaks about Orthodoxy without words. In brief. St. Paul’s discussion of works is about works of the OT Law, not about Godly actions themselves. Feeding the poor is not a “work” in this sense. Such a mistaken notion is part of the problem that created secularism in the first place. It is simply wrong and a heresy. Faith without works (St. James means Godly actions) is dead. Fine. Nor does Christ mean “belief” as in “intellectual assent” in John 11:26. The course of his teaching makes it clear that belief results in actions. Cf. the last judgment in Matt. Protestantism, though well intentioned, is filled with error. The misunderstanding of “works” is among the most obvious and the most serious. It is a very uneducated reading of Scripture. St. Paul means solely, “works of the Law,” when he speaks of their ineffectiveness. He nowhere disparages obedience to the commands of Christ or the requirements of life in the Church. Thank you, Father, for another challenging post. Mother Teresa was the epitome of what you are writing about. She did not wear a traditional nun’s habit, but in her native sari her actions of love made her stand out from the whole secular world. She prayed constantly. She was a joyful Christian. She was like a burst of God’s white hot love in a dark dull world. She never once defied the church or upended tradition. But it was her actions, her daily living of Christ’s love for His Father, Mother, brothers and sisters that made the whole world take notice. God thirsts for all of us to be saints. Saintly action first begins with prayer, since we can’t do it alone, and because actions separate from God are not Christian acts. Forgive me, Father, a sinner. Father Stephen has touched on your mistaken interpretation of “works” which of course differ in Paul and James. But we are not saved by meritorious works! Heavy focus on merit is inherently part of western Christianity. Over and over, however, scripture repeats that we will be judged according to our works and not an imputed righteousness of Christ. To be born again (by water and the Spirit) means we are new creations, new creatures, our life is hidden in Christ. To live is Christ. Deification both in us and in Christ, causes our humanity to “do something”. So faith and baptism necessarily are inseparable to a new way of living. As to your inquiry about the 7th Council and icons. Here are a couple quotes from that Council. Many things are in motion, but there is no sound. To say I was moved by the quote, stricken really….would be a monumental understatement. It took me a good deal of time to acquire it if you will, understand it. Accept it. Perhaps even now, I’ve not yet. But I have remembered, and applied it, in any number of metaphorical life circumstances since then, few if any, regarding literal hearing. And your post Father? Regarding our lives, our actions; our perceptions, our beliefs; our capitulations, our commitments; our ideologies, our trials; our faith, our practices? I think speaks to it abundantly and aptly. Christ as a way of life. Love, compassion, kindness, gentleness. Mercy, forgiveness, sacrifice, respect. Jesus Christ…as, or should I write, is, our God. And essence. For far too many in the world, and in the world of religion even moreso, it seems many things are in motion…but there is no sound. Father, you define “works of the law” in St Paul in a very similar fashion as does N.T. Wright in his exposition. For Wright, “Works of the Law” are those things in the Torah that separate Jews from Gentiles, eg dietry laws, circumcision, Sabbath etc. So Paul’s admonition against the Judaizers in Galatians refers to those “works of the law” that would separate the Jewish Christians from the Gentile Christians. This is opposed to the Reformed tradition which sees “works of the law” as trying to “save yourself” or those self righteous acts whereby we “earn” our salvation. This, argues Wright, is forcing Luther’s controversy with medieval Catholicism onto the text, rather than letting the text speak for itself. Moreover it is a very poor caricature of Judaism as a system of “works righteous”, a system whereby one earns there own salvation. I’m not sure if you’re aware, but this reading of St Paul has caused a firestorm in the Protestant world, but it seems similar to the way the Orthodox would understand the phrase “works of the law”. Any thoughts on this? I’ve not read N.T. Wright’s more recent work, but I know a number of Orthodox who have and find it very compatible. I met Dr. Wright back in the mid-90’s and had the privilege of editing him in a book I did. We had a number of phone conversations. An excellent man in difficult places (modern Anglicanism). I think, in many ways, that the classical divide between the Reformation and Roman Catholicism is becoming more and more removed from any reality – and with that remove comes the possibility for actually thinking or re-thinking hardened positions. The Reformation backed itself into a number of absurd positions, including absurd interpretations of Scripture. Orthodoxy, to a degree has been protected from this (not being part of the argument). One element of conversion, and the acquisition of an Orthodox mind, is getting free of this debate and its distortions. I hope to have time at some point to read Wright. I am learning about this very thing. Most of the Christians I know outside of my parish are Protestants. I rub elbows (so to speak) with them quite often. Argumentation is a mindset that runs deep within Protestantism. Only now am I learning to refrain from argumentation when a situation presents itself to do just that. Even recently I was faced with whether or not I would join in and debate, or refrain from doing so. I chose the latter, but at first it was a very difficult choice. Once I did though, I was relieved not to have participated. 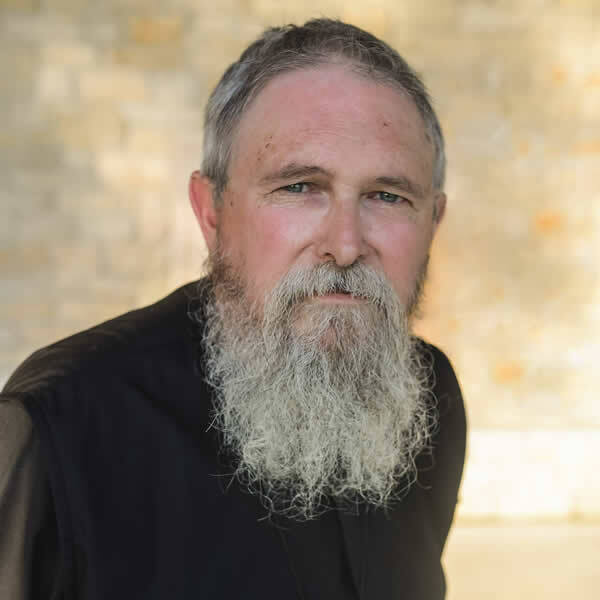 Go with God this day, Father Stephen! It’s really funny how things often seem to “sync up.” I am in the process of reading David Bentley Hart’s book, *Atheist Delusions*, and have been reading the section where he describes how Christianity hit the pagan world like a sack of bricks. The impression I’ve gotten from my reading so far is that what attracted the notice of the pagan world about Christians was not their doctrine, nor their apologies, but was their practice. Their willingness to endure martyrdom, yes, but perhaps more so their *charity* (and not just to each other, but to needy pagans as well), and their admission of people of all levels—slaves, women, what have you—to the Mysteries (this being one of the points at which Christianity was outright dangerous to the pagan world), and so on. I would like to add that this debate and its distortions is abundant on the Internet in religious discussions. Often, the result of such debate leaves the disagreeing parties at an impasse, a stalemate. Words are said that cannot be taken back, and suggestions of, and even strong implications given to the effect that one’s salvation is questioned. I was involved in these kinds of religious debates for many years, thinking it was my duty as a Christian. We Orthodox Christians, especially those coming from this tradition, need to take care that we avoid such debate. Peaceful dialogue, where words are exchanged with respect for the other person and kindness is shown are something entirely different. These sort of conversations can be productive and advantageous to all involved. Over the past few years I’ve struggled with how an Orthodox parishioner should go about his 9-to-5 daily work. Roman Catholics seem to have a pretty well-articulated concept of work–inasmuch as it participates in the good, the true, and the beautiful and brings it into being in this physical world, work is good, true, and beautiful. Evangelicals tend to have a different perspective–work is largely unimportant, except as it is the context for witnessing one’s faith to others. And then there are some mainstream Protestants who might say that we are bringing God’s Kingdom into existence here and now by feeding the poor and healing the sick. For better and for worse, the Orthodox “position” on daily work is not as well articulated. Certainly Alexander Schmemann’s thinking has offered some directions to pursue (e.g. in Christ we are priests, offering the world back to God), but it does raise questions, too (e.g. how do we who work in a modern world with institutions increasingly divorced from the physicality of the world put our priesthood into practice?). The immigrant experience of many Orthodox Christians has also affected the Church in America. The architecture of our church buildings built by Orthodox immigrants is revealing: They tend to stand out like a sore thumb with impenetrable walls. They are not integrated into the landscape in the way that many old Anglican and Presbyterian churches are. This is a gross generalization and notable exceptions quickly spring to mind, but my point is that the church building and the Eucharist have served as a refuge from the world for a while now, not a transformation of it. 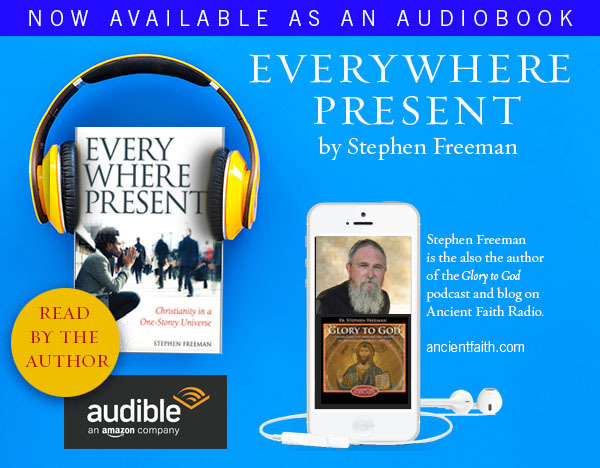 In carving out space and time for prayer in our homes and in our daily lives, that division can still remain–this prayer space, this time of prayer is how I participate in Christ…that e-mail I have to write takes me away from God. You have articulated clearly that this is a wrong-headed division of sacred and secular, but the practical question still remains: How do we offer up the world and participate in Christ when we are doing our daily work which has no overt connection to religious practice or the Liturgy? And what would our culture look like if we did that? Yes I very much agree that there appears now to be some room for a rethinking in the Protestant world – much to the dismay of fundamentalists. I’m neither Orthodox or Anglican (yet), and I do know that there are major problems in the Anglican community. Yet I think some of the most helpful stuff coming out of the Western tradition are from the Anglicans. And I think what we see in the Anglican community is a reaction against some of the fundamentalist Protestant absurdities. So I’m not too harsh on them as some people are. Quite frankly, I’d much rather be an Anglican than a Reformed Baptist in the South. I think that just because you can tick off a list of beliefs that conform to orthodox (small “o”) doctrine (the Trinity, resurrection etc), does not necessarily mean that you have understood what it means to be a Christian. In fact, fundamentalists quite often completely distort Christianity. So when I look at liberal Christianity such as we find in the Anglican communion, I can certainly understand why they are like that and I can sympathize with how they have gotten to where they are, though I don’t condone this and think that it is harmful to the faith. Seeing things from an Eastern Orthodox perspective has helped me make more sense of the problems in the West. I think the sort of fundamentalism we find in the U.S. with it’s peculiar beliefs in Biblical inerrancy etc, the fusion of evangelical Christianity with extreme right wing ideology and so on… It’s not hard to see why we’d get an overreaching reaction from more sensible minded people. They haven’t been taught about other ways to read the Bible that do justice to the integrity of doctrine, they don’t know that there’s an alternative (and better, in my opinion,) view of hell in the East etc. They want to hold on to their faith, but to do so without checking their brains in at the door. So I can certainly see why they’ve gone in that direction. And I think this is why Orthodoxy is becoming more attractive to thinking evangelicals. It is a complete eye-opener when we discover that we don’t have to be fundamentalists and young earth creationists etc to affirm the truths of Christianity and the integrity of doctrine. Historically, it is more accurate to describe fundamentalism as a reaction to the growth and influence of German Liberalism than to say that Anglican liberals are a reaction to fundamentalists (though they all react to each other now). The liberalization of Anglican thought predates the rise of protestant fundamentalism. I would suggest that the primary means of transforming the world is through the profound act of thanksgiving. This can happen on a much deeper level than it is often treated. If you will, it can occur on the deepest levels of the mystery of the Church and becoming transforming in a manner that transcends the merely mental or token effort. If we are involved in something for which we cannot give thanks, then it is sin. We are created to live eucharistically (giving thanks always, for all things unto God). The lives of monastics, to use an example, is one of work in thanksgiving. Just because we may work in a manner other than labor or in materials as abstract as electrons (I manipulate electrons in a significant part of my ministry as I write this blog or a book) does not alter the manner in which we work and give thanks. I give thanks, O Lord, for the wonder of electrons! Thanks for that Father… Perhaps liberalization of Anglicanism has predated protestant fundamentalism. But surely the rise of protestant fundamentalism in America has only exascerbated this. And, perhaps German liberal scholarship was the full outworking of the direction protestantism has taken the church. If you work with protestant presuppositions, particularly sola scriptura, and you combine this with the scholastic approach to theology we find in Protestantism, then it’s little wonder that German liberalism might follow. It’s interesting that German liberalism comes up around about the same time as the Enlightenment. I haven’t studied this, but it does appear that the Englightment had a big influence on German theology. Then the reaction against this was the logic-chopping fundamentalism. We get doctrines like Biblical inerrancy coming directly out of this period. Would it be fair to draw a straight line between the historical fundamentalism you speak of and todays protestant fundamentalists? I still think the bogey man is the Protestantism that prevailed before the Enlightenment. And that this is the sort of Christianity fundamentalists, both then and now, seem to want to go back to. This is why it’s hard for many of these people to deal with scientific facts. I’ve found that Roman Catholics and Orthodox Christians are far less threatened by science than are evangelicals. All I was trying to say was that it isn’t a surprise to me that liberal Christians are what they are given Protestant presuppositions and historical coincidences like the Enlightenment. Were the fundamentalists right to react against this? Probably. But I think what has followed in protestant fundamentalism has been equally as harmful. The Protestant Christianity of the pre-Enlightenment sort was not particularly similar to fundamentalism. It had a doctrinal normalcy in the sense that no one was questioning it. It reacted to Roman Catholicism, but not to a secularism or an incipient atheism. Post-Enlightenment fundamentalism is reacting against something different and therefore becomes something different. Fundamentalism at the present time has become increasingly a caricature of itself – almost comical were it not so sad. Such fundamentalism is the “straw men” that ignorant liberals (like Bill Maher, for instance) have in mind when they attack “Christians on the right.” His liberalism (even though he is technically Jewish) belongs to a category that includes fundamentalism – being flip sides of the same coin. Thanks for clarifying that Father. I’ve heard NT Wright make a similar point about the prevailing extremes of the political spectrum being flip sides of the same coin. How do we move past the prevailing culture wars? The language of hate on both sides seems so intense. The Christianity we see coming out of America looks very much like the “straw men” you describe though. The caricature really does resonate in reality. To those of us outside America, it seems like a form of insanity. The fact that you could have a number of Presidential candidates who are willing to subscribe to this ideology is actually quite scary. Of course one might say the same thing about the liberals. Yes there are some like Maher and Dawkins who are just as ignorant and just as captivated by ideology as are the Christian fundamentalists. But I think, at least in my experience, many liberals are open to discussion and are willing to hear you out, and would commend things that lead to the common good. I would not label all liberals extremists or inherently hateful or dangerously wed to any ideology. In Australia we have a secular society. There are some areas that Church can work together with broader society, just as there are some areas where Church and society have to part ways. It’s not perfect by any means. And of course Christians here lament the secular nature of society. But there isn’t the level of animosity that we see in the U.S. So it just makes me wonder about what is going on with Christian fundamentalism there. Perhaps its got something to do with the Puritanical roots you talk about in your latest post… I’m not sure. Anyways thanks for your comments. Father — I am a child of the 70s (mostly), thus your conclusive statement here, to do something was particularly meaningful. Thank you :). More political thoughts than I am normally wont to make…. America is quite polarized politically. My simple reading of things (I am 58 and cast my first vote in 1972) is that the polarization has its origins in the Roe v Wade decision of the early 70’s, which made abortion legal. It was a radical legal decision at the time, overturning laws in almost all 50 states. Its defense became radical, as though abortion were a fixed part of American tradition. Opposition has become quite strong as well. America has some history of such polarizations – remember, this is a land whose bloodiest war was fought within its own borders. I am an opponent of abortion and am certainly polarized politically on the matter. I would not vote for a “pro-choice” candidate under any circumstances. I do not think that the life of an unborn child is a matter that can be compromised. This American polarization has been taken up within conservative political thought and American constitutional theory. It has become something of a “world-view” issue. The secular character of mainstream culture, including the secular character of Europe and Western civilization, is seen as anti-human (in the sense of Lewis’ The Abolition of Man). Thus the fight is seen as far more than a political battle for the presidency – it is seen as a battle for the soul of Western civilization. The mainstream media delights in portraying conservative leaders and candidates in as “fundamentalist” a posture as possible – it scares the other side. But the polarization will not disappear, nor do I think it will moderate. The polarization of America prior to its Civil War only disappeared after the abolition of slavery, and the devil’s bargain after that to agree that blacks could be free, so long as they were not equal. The North acquiesced in this as clearly as the South. Thus many men died in order to free slaves into a new form of slavery. I have no idea where the present polarization will go. There is a growing gulf within Western civilization, though the rift does not seem to have effected many outside of the U.S.
Father, I recall you also having a post once where (forgive me if I misrepresent) you talked about how America has a long tradition of reading itself into Scripture, particularly into the Old Testament. As I recall, you were referring to comments made both by then-recent politicians and by various Americans (or proto-Americans, i.e., colonists) in the past that almost seemed to sound like they believed they were living out the Old Testament story. The end result being a sense that we were Israel taking the Promised Land. Thus, we developed ideas like Manifest Destiny and so on. Of course, if we *are* Israel in some deluded sense, then, well, God is our King (because, as Americans, we recognize no earthly King), and we should follow His Laws. If we don’t, then, like Israel of old, God will abandon us. If, indeed, this is how many Americans have seen themselves throughout our short history, then it would follow that bringing State law into conformance with God’s law is, quite simply, a matter of the survival of our country. Maybe I’m totally off-base, here, but, if not, I think this might also help to explain some of our particular politics. Along this line, not too long ago my husband came home from church and commented on something the pastor had said in his sermon, “We’ve got to take this country back for God.” This particular church is evangelical with fundamentalist leanings. My husband and I had a bit of a discussion on this kind of thinking that seems to seep into many evangelical churches these days. I think the root cause is fear. Fear of what this country is going to become and the judgment that God is going to bring upon us. Look up Dominion Theology if you’re interested in understanding the thinking of right-wing fundamentalism in the United States. Thanks for your comments. I just don’t think I get American politics. I don’t know how people could elevate one dehumanizing force in society over others. Of course the pro-choice movement is not the only dehumanizing force in society and many of the pro-lifers seem perfectly ok with other forms of depriving human life of dignity (think of torture under the previous administration), indeed they are ok with other forms of destruction of human life (think of preemptive war). I don’t see any consistency here. I think we’ve got to move past the shouting matches and the bundling up of certain issues along a political spectrum. Christians in Europe, Australia and other Western societies are well aware of the dangers of secularization. It’s not as if they are just sitting around and letting the secular world have its own way. But they don’t employ the language of hate and violence when engaging in debates with their opponents. And we don’t bundle up issues like teaching “creation science” in schools, gun proliferation etc with abortion. Why can’t these issues be decoupled in America? Is the pro-life movement really about a battle for the soul of Western civilization? Or is this a front for other conservative agendas? Some would say that the righteous reaction against Roe vs Wade has turned into something bigger, with the bundling up of many conservative issues with abortion, so that to be pro-life means that you also sign up to the full gambit of conservative causes no matter how silly and destructive these other agendas are. I just don’t get it. simmo, there are many here in the u.s. who feel the same way. we just aren’t vocal like the extremists…we sort of stay in the background and live, work and take care of our families. seems the far left and far right are always battling. Your answer is very discerning. There really is a bundling of issues. Though I have an uncompromising commitment to the life of the unborn, many other “bundled” issues leave me cold – they are distractions. It is clear to me that the political powers that be use “issues” as a means of manipulating voting blocs in their efforts to gain power. There are very few (if any) within the political world who are motivated by real intellectual or visceral commitments (other than the will to power). The figure of Cincinnatus has largely disappeared from the political mind. I appreciate this conversation. It is especially helpful to have conversation about such things with non-Americans. It is difficult to see ourselves from inside the fog of our own war.